Education is among the top-ranked industries in the world, and tutoring is a key constituent of the global education industry. Global tutoring market growth is primarily attributed to the inability of the standard education system to address the unique needs of each student. As each student differs from the other in terms of comprehension, caliber and ability, existing education system in various countries are unable to offer the individual attention required for such students. Private tutoring has assumed enormous significance, as the approach provides an individual, innovative, and personal education system to students. Asia-Pacific, Europe and the United States accounts for a lion’s share of the revenues in the private global tutoring market, as stated by the new market research report on Private Tutoring. Private tutoring is a thriving industry in Asia-Pacific, particularly in Hong Kong, Japan, Singapore, South Korea, India, and China. The demand for private tuitions in several of these countries is driven by the fact that competitive entrance examinations are critical for gaining admission into leading universities and colleges. Lack of adequate funding for public schools and education systems in developing countries compel students to seek additional knowledge and competence through private tuitions. The increase in school tests and scholarship exams proves to be beneficial for small tutoring services providers. In addition, major developing countries such as Brazil and several Eastern Europe countries are witnessing rapid growth of the private global tutoring market. In the United States, the growing significance of private tutoring is driven by the increasing adoption of new technologies in various educational practices and the Federal government’s No Child Left Behind (NCLB) Act offering supplemental educational services, which contributed to enhanced spending on services such as tutoring, test preparation, educational assessment, and technology integration. Aging school infrastructure, shortage of teaching staff, and rising student enrollments are enhancing the need for additional educational services, which is being partly addressed by private tutors. Online tutoring is emerging as a popular form of private tuitions for students across the world, owing to the convenience and multi-utility features of the medium. The increasing number of nuclear households and the growing proportion of dual income families implies that parents find little time to spend on their children’s education. The need for supplemental education is also rising in view of the intensifying competition faced by students in gaining entrance into schools and colleges of their choice. Online or e-tutoring allows students to use computers at home or school to login to a tutoring system. India has emerged as a key player in the outsourcing of online tutoring services, with the US emerging as a major market for outsourced online tutoring services from India. Major players profiled in the report include Club Z! Tutoring Services, Daekyo Co. Ltd., Educomp Solutions Ltd., Huntington Learning Centers Inc., JEI Corporation, Kaplan Inc., Kids R Kids, Kumon, LearningRx, Mathnasium LLC, The Princeton Review Inc., Sylvan Learning, Tutoring Club Inc., TutorVista Global Pvt. Ltd., and Woongjin Thinkbig Co Ltd. The research report titled “Private Tutoring: A Global Strategic Business Report” announced by Global Industry Analysts Inc., provides a strategic review of industry, key market trends, recent product launches, strategic corporate initiatives, and profiles of key market participants. The report provides annual sales estimates and projections for the following geographic markets - US, Europe, Asia-Pacific, Latin America, and Rest of World. Find work! 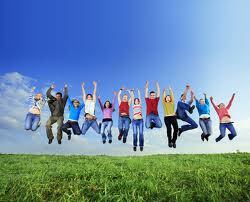 Return from Global Tutoring Market to Tutoring Jobs. Ace your interview and every tutoring session with my tips for tutors. Learn about opportunities for tutoring franchises. Buy yours in paperback, Kindle, or ebook! 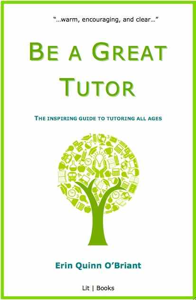 Take your tutoring sessions from good to great with the must-have resource for every tutor.